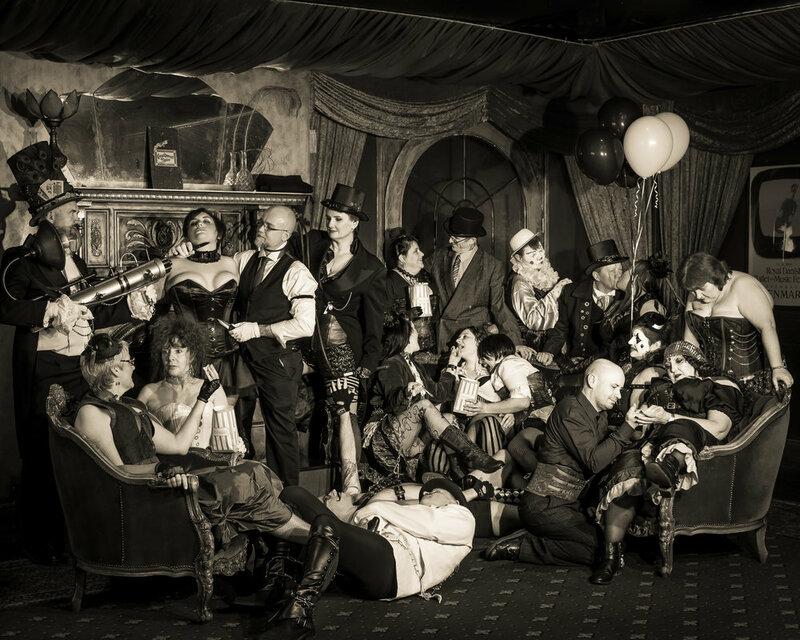 Len has been shortlisted as a finalist and hung at this years Head On Portrait Prize with Steam Punk Circus. With over 5000 entries and only forty finalists have been hung this is an amazing achievement. This years launch was at the University of New South Wales Art and Design Faculty at Paddington. A fitting place for Len as this is where he completed his degree in art majoring in Photography. Len originally was awarded 'The most outstanding advanced colour photographer' award in 1988 when he graduated with straight distinctions in his photography major. At the time this was the highest photography award and was hung in the Graduating Exhibition that followed at the Ivan Dohety Gallery with only the most outstanding students of that year. At the time this coveted art school was called the City Art Institute, and was part of the NSW Institute of the Arts. The exhibition of the finalists is on from the 5th May to Sunday 20th May 2018. It is at the Festival Hub at Paddington Town Hall.